You'll be £5.20 closer to your next £10.00 credit when you purchase Ypres. What's this? This powerful collection, depicting the grim realities of the four-year struggle for the Ypres salient, showcases the work of the contemporary combat artists and illustrators from the Great War era. Included here are the works of serious artists, propagandists, illustrators and humourists. The result is a stunning and vivid graphic record of life and death in the most infamous campaign of the Great War, as reported to contemporary audiences at a time when the events of the Great War were still unfolding. 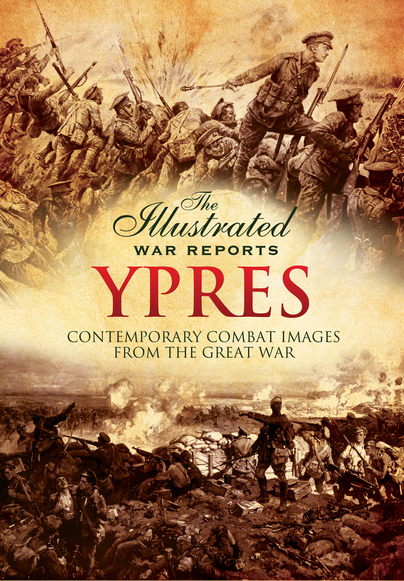 A magnificent collection of illustrations commemorating the Ypres conflict. As we get further and further into the 100-year anniversary of this horrific war, so the publishers, in particular Pen and Sword, seem to be discovering and publishing photographs, facsimile reproductions of newspapers, drawings etc., that illustrate what happened to our ancestors and the people they were fighting. Pen and Sword already publish the very finest pictorial history of the first world war, with the 1914 and 1915 volumes already available. This new series of Illustrated War Reports is a worthy adjunct to that series.